I was born in Maine in 1990, making me 28 years old. I was raised in Maine, went to high school in Maine and love my home state. As I packed my bags to head off to college in 2009, I was going to live outside of Maine for the first time in my life. I planned to spend four years away, then return (better educated) to live and work in the home I love. Almost a decade later, however, I still have not moved back. Maine is hemorrhaging young, educated people, and there are very few viable solutions being proposed. NBC has called the situation “dire” for the statistically oldest state in the country. There is a clear and known need for youth to stay in, or at least return, to Vacationland. I am one of the thousands who have not returned. Why? First: the lack of jobs in both white and blue-collar sectors. I have looked for jobs in Maine, both around my college graduation in 2013 and in the last two years. There were very few jobs to be found, and those I did find did not pay enough to justify a move back East. Maine does not have the job base to keep those who grew up in-state at home and is not doing enough to bring people back once they decide to live elsewhere. When I say, “not doing enough,” I mean that the state of Maine is impeding the creation of jobs and stifling economic growth. The initiatives that have been put in place are simply more big government short sightedness. In a recent article on MainePublic.org, Robbie Feinberg reported on “Opportunity Maine,” a tax credit program which “offset[s] some of the burden of [student] loan payments.” While that sounds like a potential solution, the program could be damaging to both students and the financial health of the state in the long run. If students come, use the financial benefits, then leave, the state just spent money with no return. If students stay after they have successfully gained the repayment of their student loans, they will be subjected to Maine’s high taxes that will likely do more harm than good to their bottom line in the long run. The Maine SPARK initiative estimates Maine needs to attract 158,000 more workers by 2025. The job market is being suffocated by the way Maine treats businesses. If Maine were a more attractive place to own and operate a business, more businesses would choose to be in Maine. More businesses in Maine means more jobs, and more jobs means a younger population with an interest in living here. The tax burden on businesses, and overall economic environment, are preventing new companies from choosing Maine, subsequently holding citizens back from prosperity. Even if I had found a job that was of interest and paid enough to justify the move back to Maine, I would think twice before subjecting my income to the tax schemes and unsustainable programs currently supported in Augusta. The tax burden is high and shifting rapidly. I will be getting married in July, and I refuse to saddle my future wife and children with the risks of the “spend first, hope for the best later” fiscal standard that has long existed in Maine. The state legislature has raised taxes to the third highest levels in the nation, and I don’t want any part of it. At 23rd in the country for tax rates, my current home in Pennsylvania is even too high. Personally, my goal with hard earned money is to save it, invest it, and make sure I never take a penny from any entitlement program. If I want to live in the United States, I am forced to accept bad decision-making at the national level — but I can safely pick and choose what is best for my family from among the 50 states. As the cost of overspending continues to break the backs of the middle class, Maine will only see more profitable businesses and individuals find new homes. I follow the headlines in Maine closely, looking for good news that would indicate I could start considering a move back home. As more proposals like 2018’s Question 1 are considered, however, it is clear that the state is heading closer to fiscal ruin than financial stability. The idea of losing an additional 3.8 percent of my income, in addition to the current tax burden, is daunting. Maine will not be able to tax its way out of its age problem. The problem with over taxation on any scale (but especially in a state where there are declining numbers of working age individuals) is that at some point, you run out of other people’s money. It is only the most vulnerable who will be hurt by growing government. As I wrote above, the impact is twofold. By taxing the state to death, Augusta has placed a burden on current citizens while removing incentives for new companies to move in. There is a chain of events unfolding: Increasing taxes, leading to a decreasing tax base, in a state where the population is shrinking, because people are leaving, while Augusta increases spending. This is not just bad policy — it seems to be willfully ignorant of the natural end: a state in which only those who cannot afford to leave remain. Thousands of Mainers have made a conscious decision: do I lose more of my income to a state that is teetering on the brink of yet another tax hike, endangering the well-being of my family? Or only come to Vacationland on holidays and then retreat to safety from bad decision making? The choice is easy. The inception of this article was my fiancée, who asked whether I would consider moving back to Maine. We have visited my family home in York County many times, and after seeing the state’s beauty, she couldn’t help but wonder why not just me, but both of my brothers as well, have built our lives elsewhere. We are more likely to pick New Hampshire than Maine based on the current climate. It is a difficult question to answer with just numbers because I love Maine. It will always be home for me. 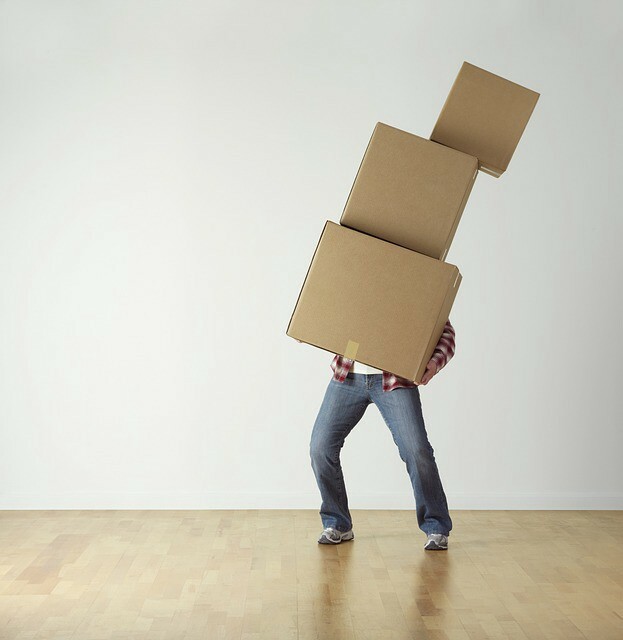 There is an emotional attachment that carries a serious weight. I recognize, however, that to move back to Maine would involve a search for a suitable job, likely lower my income, and put my family’s future at risk. In truth, my future wife’s question led me to consider not just the problems, but what solutions may exist. What can our individual communities and the State of Maine as a whole do to reverse the aging trend, create incentive for new business and more jobs, and retain young professionals who have been leaving in droves for the past 20-plus years? 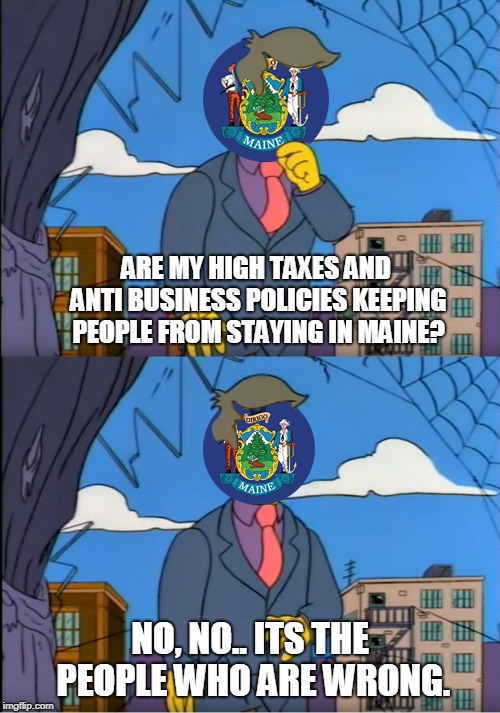 The answer is simpler than the politicos in Augusta would have you think: empower greater economic and individual freedom in the State of Maine. Maine is beautiful, and it will always be my home, but it is broken. To succeed, the state must focus on decreasing the burdens on those who would otherwise choose to live there. This will be accomplished not by creating a bigger bureaucracy, but by tearing down the one that has already been built. Mainer. Pennsylvanian. libertarian. (facebook.com/CDDrigotas)- All opinions are my own. All of your rights, all of the time. Curated solutions to protect the rights of all people.